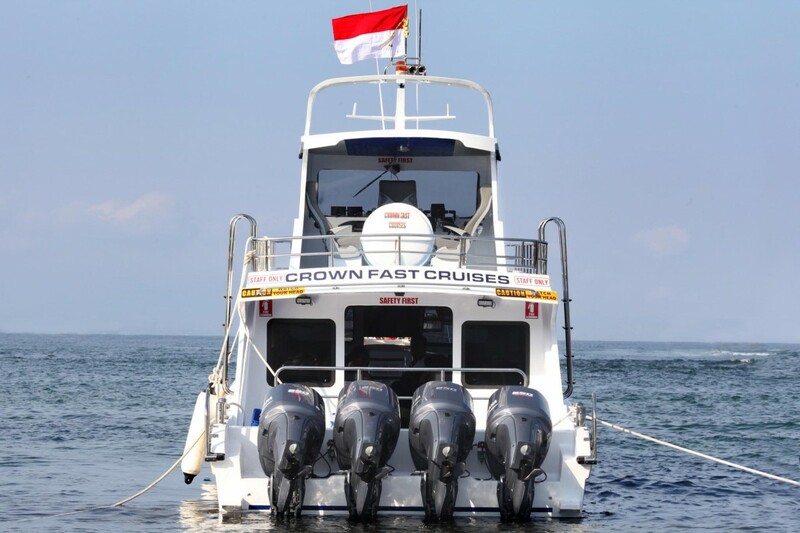 Crown Fast Cruises is daily boat transfer from Sanur to Nusa Penida island. They are mainstay in boat transfer service, because their staff and crew are very experienced in their field especially in cruises service. 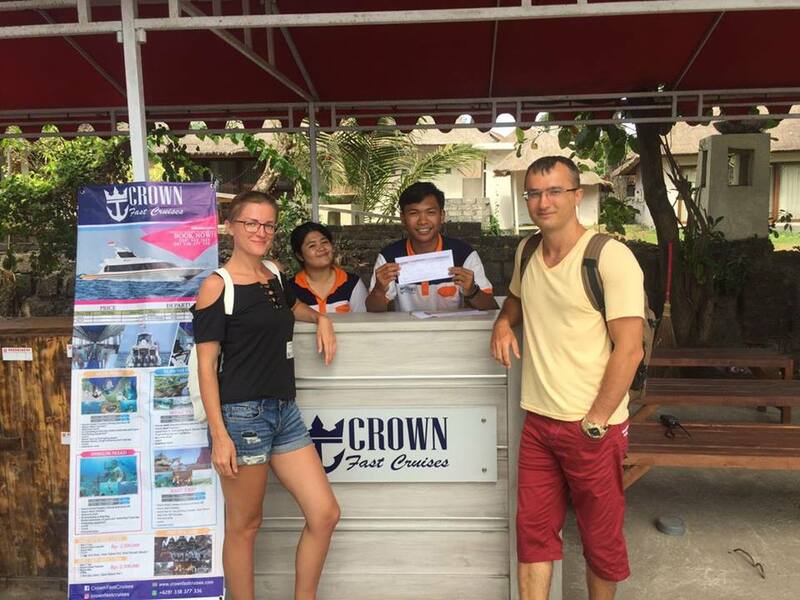 Crown Fast Boat starts operation on September 22, 2017 which is present to serve you who want to enjoy the beauty of Nature Nusa Penida Bali or who want to do pray (Tirta Yatra) to the temples located in Nusa Penida. To provide the best service Crown Fast Cruise Bali has 3 trips to Nusa Penida (3 departures from sanur to Nusa Penida and vice versa). 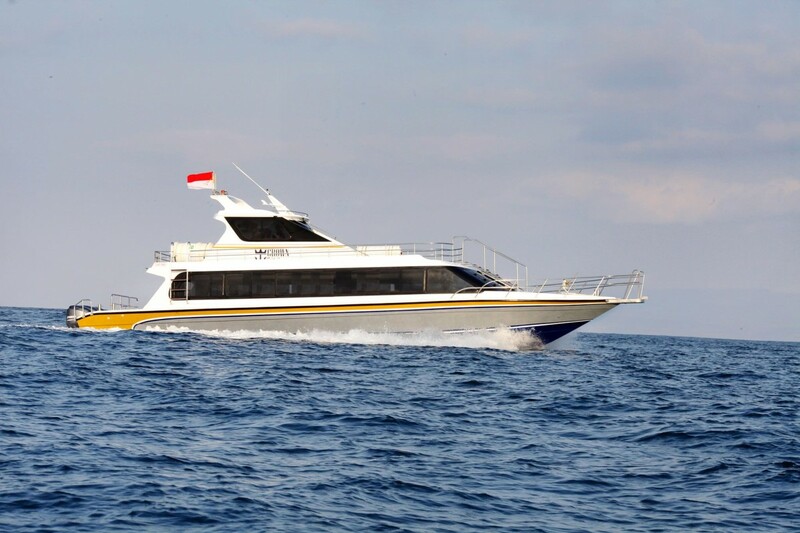 With big size and larger capacity than other boat that also serve the crossing to Penida from Sanur Crown Fast Boat has a capacity of 80 seats and a ship made of Viber material. 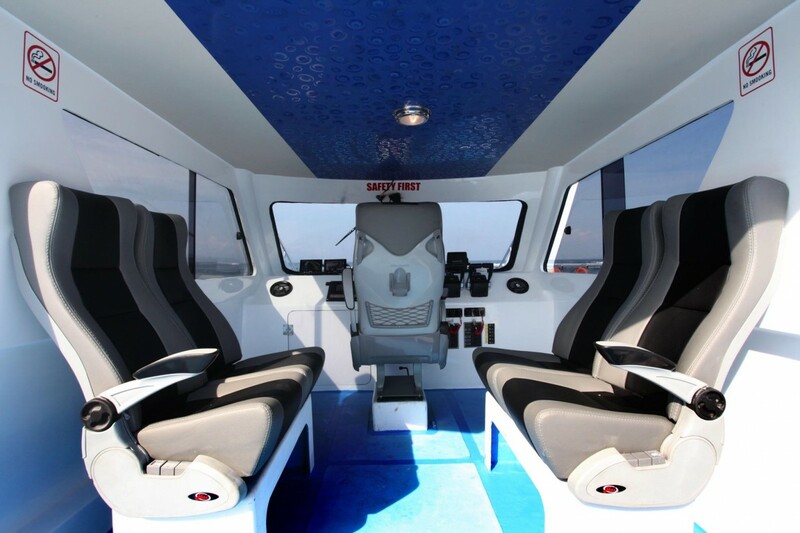 High speed vessel using 4 Yamaha 250 PK engine, equipped with safety and comfort equipment such as life jacket, life raft, GPS, Compass, comfortable seat, air conditioning and other facilities according to international standards. 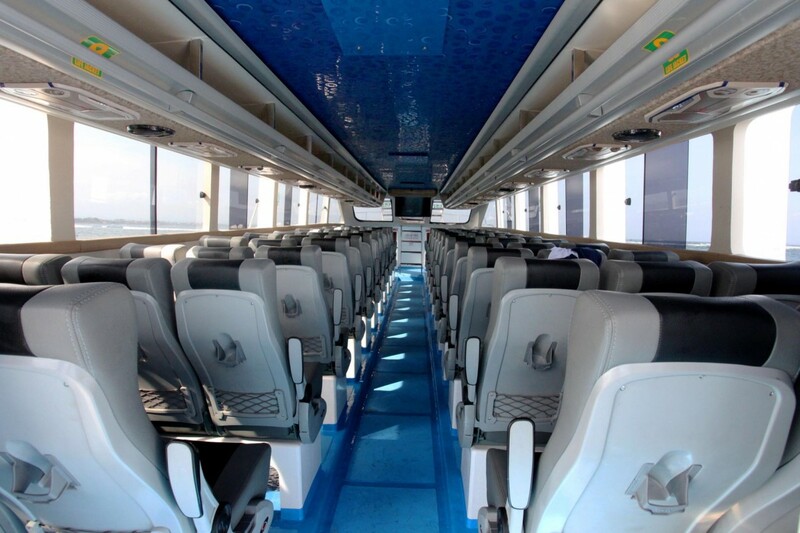 This will be the fast ship with international standards that always want to provide the best service for the passengers Crown Fast Cruise Bali is perfect for you choose as a service crossing from Bali to Nusa Penida. 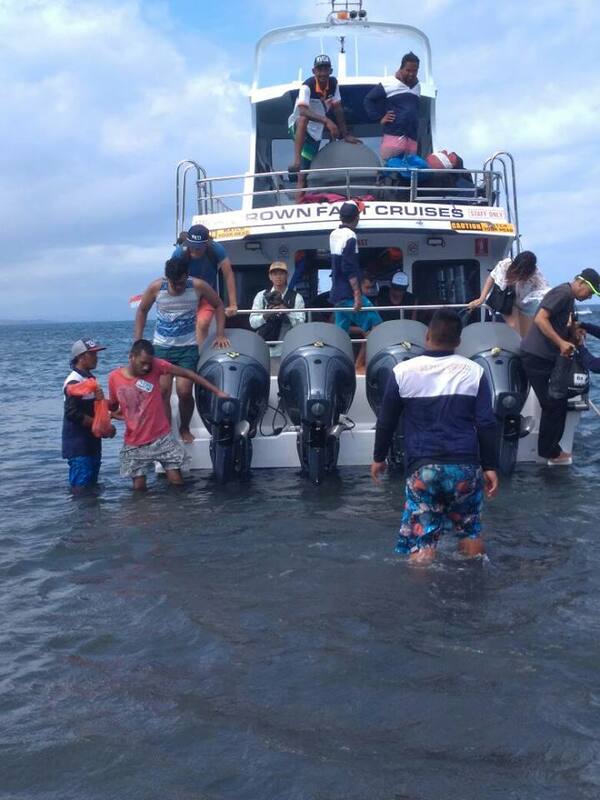 We had a Nice Trip to Nusa Penida with Crown Fast Boat. Book ticket with Anom at Bali Tours Info website Everything was very good organized and the staff was very Nice. Good music at the boat and a water for Everyone. Thank you for the Awesome Trip!